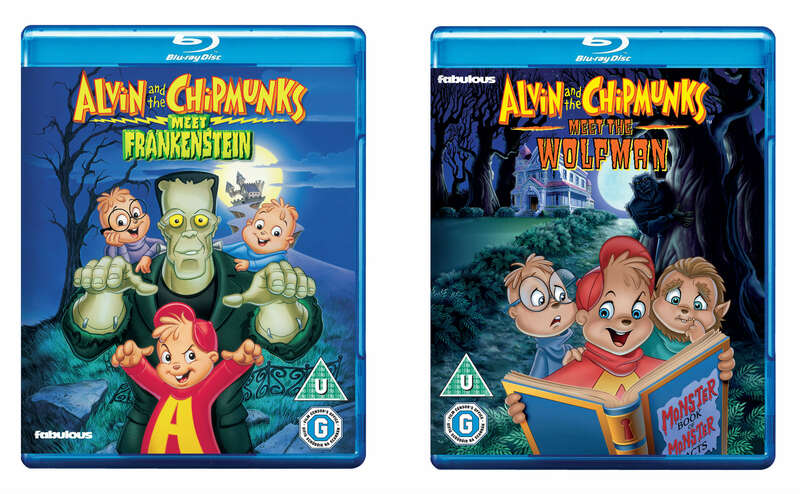 To mark the release of Alvin and the Chipmunks Meet Frankenstein and Alvin and the Chipmunks Meet the Wolfman on 25th March, we’ve been given 3 copies of each to give away on Blu-ray. Alvin’s just wild about monsters! After devouring every movie and book on the subject, he considers himself an expert. So when a mysterious new neighbour, Mr Talbot, moves nearby and strange howling noises come from his yard. Alvin is sure he is a werewolf! Of course, everyone else thinks Alvin is watching too much late night TV. But when Theodore is nipped by a “dog” and suddenly starts chewing his own socks, even the logical Simon agrees that something weird is going on. Can Alvin and Simon save their brother before the next full moon, or will Theodore become a fully-fledged werewolf forever!?!! Add a wacky school production of “Dr Jekyll and Mr Hyde”, the delightful antics of the Chipettes and lots of great(!) music to the mix and you’ve got a monstrously entertaining adventure the whole family can really sink their teeth into! Hey, Look! There’s a Trailer for Alvin and the Chipmunks – Chipwrecked! New Poster – Who Threw Alvin And The Chipmunks A Life Ring?